The negotiations with the European Union are too important to be left to one political party and it is surely time for all parties to share their expertise to reach the best deal for us. The Conservative Party is not the exclusive home of able men and women in politics and someone needs to start thinking along the lines of what is best for the country. The Labour Party has said that they are prepared to reach a consensus on decisions. More statesmanlike thinking is needed. A party which tries to hang on to power by cosying up to a fringe potentially divisive minority group is beyond belief. For goodness sake will the leaders of the Conservative and Labour parties please start talking to each other about a coalition. As well as the Brexit negotiations there needs to be decisive action to save our NHS as well as preserving our security. Members of both major parties need to think country, not party. There are 101 other things I should be doing rather than setting out the above but nobody in power seems to be thinking straight. Someone needs to state the obvious. Amazon Marketplace sellers registered for VAT are missing a trick by not saying so. I sell books and I am registered for VAT. Because books are zero rated I don’t have to charge VAT but because I am registered I am able to reclaim the VAT element on the purchases I make as part of the selling process. Amongst other places I buy on Amazon (who doesn’t) but I am frustrated with Amazon Marketplace sellers who do not state their VAT status. Amazon lists items at VAT inclusive prices. If sellers are registered for VAT they should be shouting the fact from the rooftops because it means that trade buyers, like myself, will be able to reclaim the VAT element of any purchase. This makes their price much more competitive. Take ink cartridges as an example. I buy ink cartridges by the half dozen at a time. A number of ink cartridge sellers are based in the Channel Islands and at first glance their prices may just have the edge over mainland sellers. Channel Island sellers do not charge VAT. However if you dig deeper on the status of those Amazon Marketplace sellers with mainland addresses you may find some who are registered for VAT. The irritating part is that they rarely say so. For my last purchase I found a UK based seller offering ink cartridges at slightly more than his Channel Island competitors without saying that he was registered for VAT. I had to contact the seller direct to ask if they would supply me with a VAT invoice. Having established that they would I placed an order but by not saying so in the first place they must be losing sales to others who can’t be bothered to enquire further. Wake up UK mainland Amazon Marketplace sellers! With the 75th anniversary of the raid on 1st February 1942 fast approaching it is perhaps time for a brief postcript to the piece I wrote on Lowestoft’s ‘cuckoo’ air raid warning. Please read that first if you have not done so already. 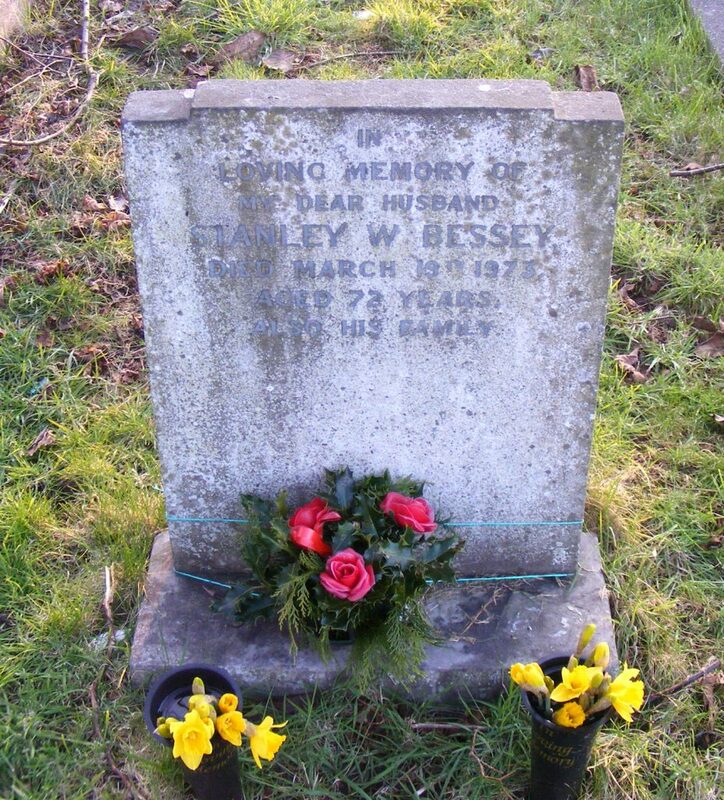 Last year I eventually tracked down the grave of Stanley Bessey, who was interred in 1973 in the same grave as his wife and two children who had been killed in that raid. The grave was well kept and the fresh flowers indicated that even 40+ years after his death someone was still looking after it. The inscription on the headstone inferred that it had been erected by his second wife whom I had not known existed. It must have been hard for her to fulfill what I assume was his wish to be buried with his first wife and two of their children. As I had no wish to stir up what might be painful memories for any member of the family still living I thought it best to leave matters as they are and not press for the originally proposed recognition of the sacrifice made by his first wife Hilda Bessey (35 years) and their children Peter (10 years) and Pamela (4 years). 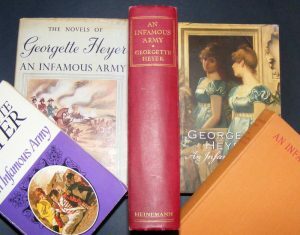 In the original 1937 edition of Georgette Heyer’s ‘An Infamous Army’ there is an ‘author’s note’ in which she refers to the bibliography at the end of the book listing over fifty accounts, collections of letters, autobiographies, etc. of Wellington and his campaigns which helped her in her writing about the man and the period. 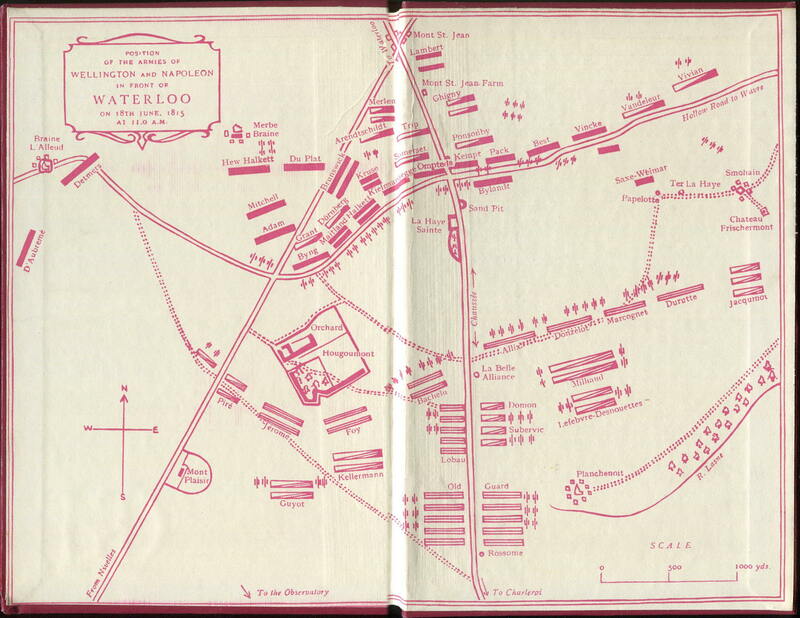 In the final paragraph of this note, which has been dropped from later issues of the title, she acknowledges the source of the endpaper illustrations of the ‘Position of the Armies of Wellington and Napoleon in front of Waterloo’ as from the respective histories of events by Capt. 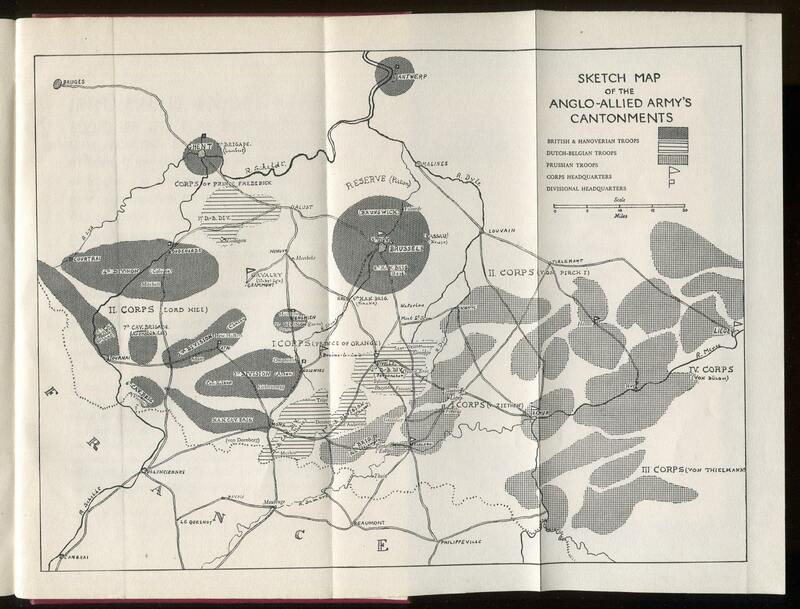 William Siborne and W. B. Craan, and of the folding ‘Sketch Map of the Anglo-Allied Cantonments’ as from the fourth volume of the account of the campaign by Col. F. De Bas. Although the book is a novel the authenticity of the background account of the Battle of Waterloo is undisputed, as endorsed by contemporary reviews in the Times Literary Supplement’s “The meaning of the opening moves of the campaign is better grasped than in some historical accounts…” and in the Daily Mail’s “One of the clearest and most balanced accounts in English of the Hundred Days…”, with many thanks to Jennifer Kloester for the references, in ‘Georgette Heyer – Biography of a Bestseller’, Heinemann, 2011. It seems sad to me that Heinemann, and subsequent publishers, dropped that final paragraph of the author’s note and the two plans which had appeared in the original edition and which the author had thought would enhance the story for her readers, from most other editions. To fulfill the presumed wishes of the author I am happy to present below, for readers of those later editions, the map and plan as they appear in my copy of the first edition of Georgette Heyer’s ‘An Infamous Army’. 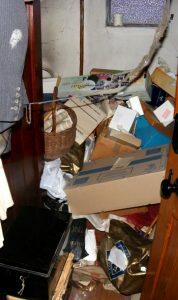 Following on from the piece about being a carer with a ‘power of attorney’ this is the first part of an account of the house clearance of my uncle’s home in Oulton Broad after he went into residential care. My uncle, a widower, had suffered from a muscle-wasting disease for many years but had still managed to live on his own with carers visiting four times a day to help with dressing and cooking. Mentions in the following account of my uncle ‘becoming ill’ refer to the major infection he suffered in November 2014 which led to sepsis and admission to hospital. Although he recovered this resulted in further limitations of his mobility and he decided that he would go into residential care. fit but there were some limitations. a week for the foreseeable future with our respective wives on the task of house clearance. At that point we had not appreciated just how much work would be involved. The building is a detached three storey Victorian house with four bedrooms at first floor level, two large attic rooms on the second floor and many built in cupboards, a box room and walk-in eaves storage spaces. It is amazing just how much can be stored in a house of that size. My uncle and his wife, who had developed dementia and had died some years ago, had moved into it in 1957 nearly sixty years ago. extra vigilance was needed in examining every piece of paper as we sorted. Probably because of his late wife’s dementia and his own declining health the condition of the house both inside and out was somewhat neglected. We had taken advantage of his admission to hospital for some minor surgery the previous year to blitz the house and reduce the levels of dust and cobwebs, some of which had been hanging from the ceilings down to head height, but that had only been superficial. Disturbing the contents as we would with the degree of sorting required raised the dust, literally, to a whole new level and anyone who has lived in an older house once heated by open coal fires knows that accumulated soot can be found many years after the heating system has been modernised. Care had also to be taken with the failing fabric of the house. Amongst the flakes of paint on every external window cill were sections of dried putty fallen from the joints of the sliding sash windows. In order to gain some ventilation some of these windows could still be opened but the sash cords of most had rotted dropping the weights into the sash boxes. On pulling downwards on the bottom rail of one window it had completely detached itself at the joints from the remainder of the sliding sash, leaving a task only a skilled carpenter could restore. Most of the contents we did not want for ourselves. After over forty years of marriage we had each accumulated our own memorabilia and household chattels and had little space for any more. I had, however, given our word that we would save as much of the contents as possible. One of the features of the ‘domestic offices’ was an enormous pantry, a 25 feet long narrow galley-like room off the kitchen, fitted with tiers of shelving on both sides and with marble slabs and a meat-safe which was long past its best. It was a convenient place to gather together all the glassware, silver, plate and ceramics to establish what there was as items were spread throughout the house. It was not unexpected that amongst all the ceramics there was only one tea service that was complete but there were a number of part tea and dinner services from their and probably previous generations. We laid everything out on the pantry shelves and in order to try avoiding the task of packing we thought it would just be a matter of inviting dealers in to view and purchase. 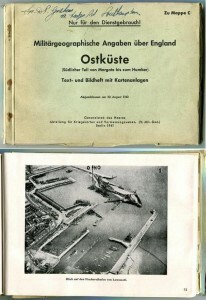 To this end we compiled a portfolio of photographs which I could show anyone interested together with web pages for further reference. My wife and I then visited as many second-hand and antique dealers and centres in the surrounding towns and villages as we could find, proudly displaying the portfolio and letting them know when the house could be visited without appointment. We thought, in our naivety, that this would do the trick but we were wrong. No-one came. items so that they could travel safely to the auction house where, hopefully, they would arrive unbroken. There, if we were lucky, they would be sold to cover the cost of packing and transport, lotting fees, commission and VAT. Sometimes they did, often they did not but at least we could say that we had honoured our undertaking to find them a new home. Every other week I would collect a dozen large lidded and double walled banana boxes from my local supermarket where the staff seemed only too glad to be rid of them. After first checking for foreign insects I needed to glue a cardboard patch into the bottom section where there is a large hole but they were then robust enough to pack many of the household objects for moving with the great advantage of being stackable. Books, clothing and bedding were relatively easily dealt with. The majority of the books went to a specialist charity bookshop at Harleston, about 25 miles away, where they raise funds for the air ambulance and a local hospice. A more local charity shop accepts both clothes and rags for recycling and we were able to take them many black sacks full. Sadly as a pipe-smoker many of the shirts, pullovers and trousers had tiny holes burned through them where glowing tobacco embers had fallen. They were still acceptable as rags and they were added to the piles of worn out underclothes that had been saved as household cleaning rags. Clothing that was still fit to wear was set aside and boxed so as to be available if he should ask for it. My uncle and his late wife had their own papers and accumulated memorabilia to which had been added those of previous generations of the family. He had been brought up in Berkshire and my aunt in Merionethshire and so we started making separate piles of items from those regions which might eventually be of interest to the archives or public record offices of those respective counties. We did hire one skip and filled it with unsaleable items, offcuts of carpet, vinyl and linoleum, part rolls of wallpaper, etc. Having both been teenagers during WW2 they had acquired the ‘salvage everything’ mentality of that time and in addition they had been early aficionados of recycling. The problem with their interpretation of recycling was that the collected glass, silver foil, paper etc. were stored in quantity about the house rather than being fed back into the system, for example glass bottles and jars were piled against one end wall of the pantry and extended about eight feet back into the room. Carrier bags and suitcases full of neatly folded used Christmas wrapping paper, silver bottle tops and used envelopes as well as the more important papers such as the records of the basis of many years tax returns does tend to inhibit the search for share certificates. We also discovered that plastic carrier bags do not last forever and eventually reach a stage of deterioration where they disintegrate into a myriad of tiny pieces, rather like ‘Lux’ soap flakes (remember them?). As one who had voted to remain I was disappointed with the result in June of the UK referendum to leave the European Union (Brexit) but was philosophical enough to accept the opinion of the majority and was prepared to try and make the best of it. 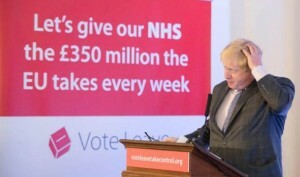 I was more than just ‘disappointed’, however, when after the event it was admitted that the £350 million per week promised to our health service by the Brexit leaders during the campaign was ‘a mistake’ and I was disgusted when some of those same leaders decided that having won the argument they hadn’t the courage to see Brexit through to fruition but resigned. 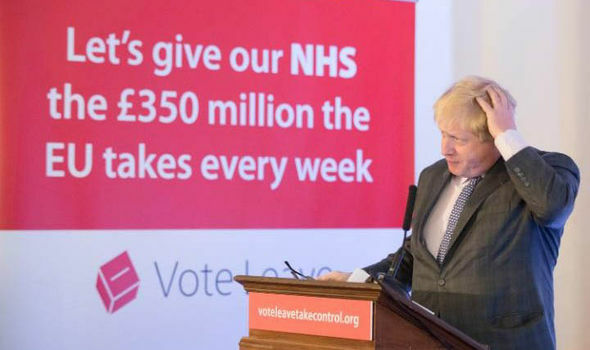 How many voters did they influence with their false promises and how were they allowed to get away with such deceitful campaigning? I had foolishly assumed that the Electoral Commission, which had oversight of the referendum, would ensure that the voters were not told lies but that seems to be beyond their remit. Their own guidance booklet on the referendum says, “We monitor how campaigners spend money campaigning in the referendum but we do not regulate or control what they say in support of their arguments”. 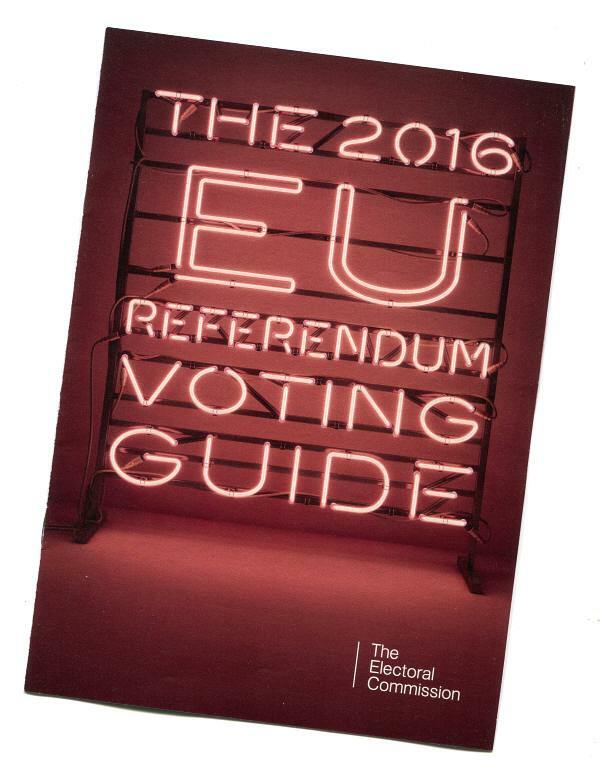 When Parliament drew up the statutory instrument for the referendum they failed to build in any right of appeal. At least at a general election when we are choosing a new government we have the option to turn them out at the next election, which if they make a real mess of the job can be sooner than their full term. We were told that the referendum was irrevocable which should have sounded warning bells to those writing the legislation to ensure that in that case there must be some oversight to ensure that the arguments were put fairly before the public – which they weren’t and there wasn’t. To my mind the referendum was an abdication of responsibility anyway. It was promised during the 2015 general election campaign by David Cameron as a political sop to some Eurosceptic members of his Conservative party and in the light of opinion polls showing advances by the UK Independence Party. In view of the complexity of the question it should have been decided by those with full time professional advisers, ie. the government, not by the public who cannot hope to know enough about all the consequences. If the government got it wrong we could at least turn them out at the next general election but they passed the buck to us. Because of the way it was set up it seems we are stuck with it but let’s hope that we can make the best of it and learn from the experience. I only hope that the Brexit advocates do not push for a rushed transition which would leave little room to negotiate the best deal. 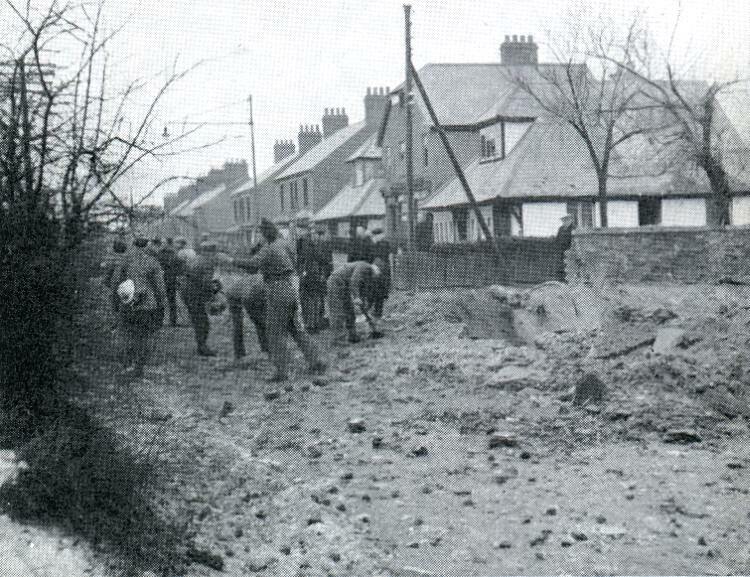 The 1st February 2017 will be the 75th anniversary of a tragic incident which took place in Victoria Road, Lowestoft in 1942 during WW2, when a mother and her two children were killed by a German bomb. Their deaths, however, led to the installation of the public ‘Cuckoo’ crash alarm of air attack and the saving of countless other lives. That fact alone is, I believe, worthy of commemoration. I first discovered the background to this event when editing Lowestoft resident Alfred J. Turner’s letters to his son (my grandfather) about the daily WW2 events taking place in the front-line port of Lowestoft (see ‘Letters From Lowestoft’). The peace-time fishing port and seaside holiday resort had become home to what would eventually become five Royal Navy bases including the main drafting base of the Royal Naval Patrol Service, the army with a presence to brigade level to protect the potential invasion coastline and the surrounding countryside with a high density of fighter and bomber airfields. In Alfred J. Turner’s letters he makes frequent reference to ‘crash’ alarms of air attack as well as the wailing siren type. 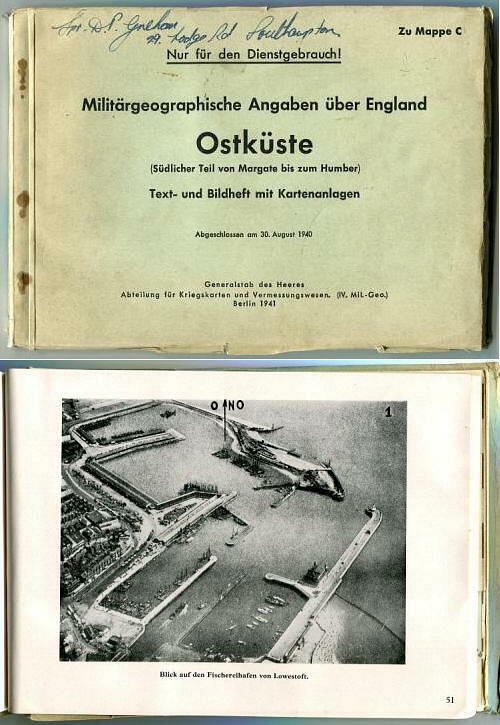 He does not explain the crash alarm but the inference is that this was a limited, private warning of imminent air attack to the town’s industrial and business areas, in advance of the standard air raid ‘alert’ siren. It is known that a number of the factories and workshops had rooftop lookouts in place to give warning to their workforce of the approach of low-level enemy raiding aircraft, most of which would have been below the main radar network and so would not have triggered a full ‘alert’. That these warnings were shared by some means to trigger a ‘Crash’ alarm is not surprising but how is unclear, although he does make a reference to the ‘destructor buzzer’. The ‘town destructor’ was a refuse disposal system in the area of the junction between Denmark Road and Rotterdam Road. The destructor furnaces burned the town’s refuse which may originally have been the fuel source to make electricity for the town’s long since disappeared trams, although the original tram sheds remain in Rotterdam Road to this day. It was in place at about the turn of the century and quite close to Lake Lothing although disused by the time of WW2. Any remaining destructor chimney would have been an ideal spot on which to fix an audible warning device to the industries along the Lake Lothing waterfront. As it is known that sounds travels well over water any audible warning would probably have also reached the town centre. Early warning by the private ‘Crash’ alarm system of hit and run air raids meant that the workers in the shipyards and other industrial units had the chance of taking shelter before any bombs were dropped. Sadly this was no help to the general public as the warning did not reach them except by word of mouth. “Warnes the builder in yesterday afternoon told me ….. the Town was very upset and workmen were striking on Thursday if the authorities refused to give Crash warning. “The Rector … came in to know if we took the Daily Express as there was a long descriptive article in it describing Lowestoft as Hell Fire Corner instead of Dover which has held the name for several months. “He said also there was severe criticism going on about the lateness of the sirens, the absence of gun fire and fighters and that much talk of a general strike by workers if no Crash warning was to be given. That ‘Authority’ at Cambridge was not opposed to it but our Mayor thought it would make people jittery and he opposed it. That the Mayor was told to sack the ‘Conchies’ at the Town Hall and that his son was to resign from his Observer Post. “I hear semi-officially the shipwrights and also the railway men had two separate meetings about the siren situation, that the Mayor attended the Railwaymen’s and on starting to address them was told they did not want to hear him, that they would do the talking. Subsequently the whole matter was taken to the Military and the ‘Commandant’ said ‘This is a military town in a prescribed area. I am above the Mayor and all civilians. If there is any strike I shall not continue any efforts for the latter as I have been hitherto’. So that was that. There was no strike. But we are to have the ‘Crash’ warning and now each day at 9.00am the old Destructor Buzzer blows the ‘All Clear’ and we are told that as soon as possible it will sound “Cuckoo” for a Crash warning. The advantage of a public ‘Crash’ alarm that sounded like a cuckoo was that it was instantly recognisable and did not need time to wind up to a certain level of sound as did the standard air raid siren. It did not replace the siren but was in addition to it. Hill Top was a small group of residential railway carriages on a siding of the railway line that ran parallel to Victoria Road, next to Kirkley Run, Lowestoft. Older residents will probably remember the level crossing at this junction even if they don’t remember the carriages. “The first ‘Cuckoo’ – instant danger – was at 9.37am on 20th March 1942 and the last at 9.15pm on 22nd March 1945. The total number of ‘Cuckoo’ (soundings) was 628,” so in fact it took about 6-7 weeks for the installation of the Cuckoo alarm, not the following day. It strikes me as suitable that there should be some form of recognition of the loss suffered by this family. The sad deaths of Mrs. Bessey and two of her children were the trigger to the subsequent installation of the ‘Cuckoo’ immediate danger ‘Crash’ alarm system to the general public of Lowestoft, which must have saved many other lives. There may have been other family members who survived and if they can be traced it would be interesting to find out their wishes. Bookselling, blogging and maintaining websites have had to be placed on the back-burner since late November 2014 when my uncle, the last remaining member of my mother’s generation and who lived about three miles from me, was admitted to hospital. Fiercely independent he has had a muscle wasting disease for some years but remained in his own home with carers visiting four times a day to get him up, prepare food for him and later get him back to bed. Last November he developed a chest infection which necessitated admission to hospital but he was ready to be discharged in January this year. The infection had, however, taken its toll and reduced his mobility still further. After a trial visit home during which he failed to cope with things such as his stairlift he decided that his only option was to go into in residential care. Once he had made the decision not to return home he charged me with the task of disposing of his house and the contents. I plan to relate subsequent events but before covering disposals I quickly discovered the usefulness of my power of attorney. Some years ago my uncle had the foresight to give me an Enduring Power of Attorney. At the time I was given no description of what the Power entailed but was just told that it would not be needed unless he lost the capacity to make decisions for himself and so I locked it away. In fact it is much more useful than that and this first part of ‘after caring’ is just as important as, had I known it, it would have saved me a lot as a carer. I have since realised that I should have queried the precise power that I was being given and not relied on his description. As an example of one of the benefits, as well as shopping for him twice a week every so often I would take him to the bank in a wheelchair so that he could draw the cash to pay for his laundry, gardener, milkman, etc. After some time he was not capable of transferring from the wheelchair into my car, and vice versa, and so I would be given a cheque to draw the cash on his behalf. This would generally be getting on for four figures, not the sort of amount I keep spare in a current account so I would have to pay in my uncle’s cheque, wait for clearance and then draw the cash on another visit to the bank. Had I been aware, my ‘enduring power of attorney’ could have been used to give me access his account. I only discovered this when I consulted his solicitor about his care needs in January this year and found that the power of attorney could be extremely useful well before he lost any decision making capacity. I visited his bank with the Power of Attorney, got it registered and they provided me with a chequebook and debit card on his current account. Had I done so sooner it would have saved me untold trips to the bank and many hours travelling but it was only when he was on the point of going into care that I discovered this aspect. There are other benefits but the moral is if you have a power of attorney don’t wait until you think you need it but find out exactly what powers it bestows beforehand. Caring for a relative can be demanding and it might help you in ways that you don’t expect. Note: I understand that Enduring Power of Attorney has been replaced by a Lasting Power of Attorney but the older version is still valid. The older I get the more grumpy I become about ‘stock images’. 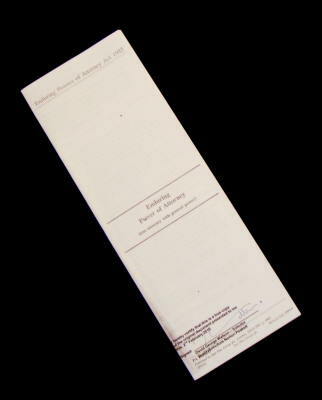 When buying second-hand books on the internet I like to be able to read an accurate description, which includes details of all the faults, and also view an image of the book that is being offered for sale, not some generic image of a book of the same title which may or may not be a true reflection of what the offered book looks like. In the early days of the internet the existence of stock images was perhaps more justifiable at a time when digital cameras and scanners were expensive. Now that they are much cheaper a serious seller really has no excuse not to provide an image. To use a ‘stock image’ rather than an image of the book itself reveals a rather cavalier attitude towards the buyer or perhaps just lazyness. Some of the major selling websites such as Advanced Book Exchange and Biblio are not free from blame as they seem to offer individual sellers a stock image facility. It is a well known marketing adage that an image will help to sell a product but if it is a misleading or inaccurate image then you are far more likely to end up with unhappy customers. To maintain their reputations these sites need to encourage the sellers who offer their stock through them to provide images of their stock and discourage or discontinue the use of stock images. The position on Ebay is more ambiguous. I haven’t been able to establish whether or not Ebay themselves offer stock images but a number of mega-listers there certainly use them and some add disclaimers to their descriptions such as ‘Please note, the image is for illustrative purposes only, actual book cover, binding and edition may vary’ or ‘Stock photo for illustration purposes’. The snag with these is that the disclaimer is sometimes not quite so obvious as the image and you may need to scroll some way into the description before you find it. I have chosen ABE, Biblio and Ebay because they all offer me, the customer, the facility to record my ‘wants’ and then email me when matching stock is added. The anticipation of finding a long-awaited book when such an email arrives is tempered with disappointment when one finds that the new matching stock is illustrated with a ‘stock image’. As a buyer I want to see an image of the actual item being offered for sale, not one like it (or in some cases nothing like it!). Please support the more diligent internet sellers (of anything, not just books) who provide you with an image which is a true representation of what they are offering, and beware of ‘stock images’. I was very tempted with this today. Lot no. 2 in Key’s auction of East Anglian Art at Aylsham was described as a mid-19th Century hand-coloured lithograph, after J. Reid and engraved by F. Jones, a ‘View of the New Town of Lowestoft’ published by Colman & Stacey, printed by Day & Son and at a size of 12 x 37 inches. South Lowestoft was subject to a great deal of new development in the mid-nineteenth century by Samuel Morton Peto who produced an illustrated prospectus of views of the new buildings. This lithograph was not an image that was familiar to me and I had been hoping to get up to Aylsham for the view. This week in which the diary had looked quiet at the beginning had turned out as each day arrived to have every opportunity for some ‘me’ time filled by other things. The saving grace is online bidding. The estimate was £150-200 and I duly prepared at least to be ready to bid. 10.30am on sale day duly arrived and the connection to the auction via The-Saleroom remained silent. About 14 minutes after the due start time a notice popped up saying that there would be a 15 minute delay. Shortly after 10.45 my Saleroom alarm, which was set for the start of the auction, sounded and I watched as the first lot sold silently. There had obviously been some sort of technical problem but the auction was at least in progress although without sound, which took some of the edge off normal saleroom atmosphere. Lot 2 duly came up and I was ready to click on the ‘bid’ button but my jaw dropped when I saw the bidding had open at £400. I might have got away with spending £200 but my wife, who says that we already have too many pictures, would not have been amused had I spent more that that. The bidding quickly progressed to a final figure of £540 which with the buyer’s premium and VAT will add a little over £113 to the hammer price. Another very successful sale for Keys. Perhaps it was for the best that I didn’t buy it but it would be interesting to know who did. Hopefully such an unusual historical image of Lowestoft will have a home in a public building in the town but if not then at least we have the auctioneer’s publicity image above.